April has arrived, bringing New Eagle into 2019’s second quarter. With it, comes more robust ways to take control of your machine while managing development timelines and cost. Tips for navigating feasibility and identifying an ECU supplier that fits your needs. GCM80 joins the Raptor product line as an eVCU offering high-volume ECU with 4 CAN, LIN and seamless integration with Raptor’s development tools and process. HV Heater & A/C options for 400V EV systems from Mitsubishi are production-validated automotive units ideal for EV/HEV projects. Axial Flux Motors from Magelec are permanent magnet motors improving EV efficiency while offering flexible design options. RMS/BorgWarner Next Generation Inverters are designed for volume OEM and heavy equipment EV and HEV applications. Get details on these and more EV and HEV product options for your on and off-road machines by visiting our Product Wiki. 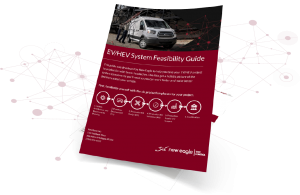 If you’re beginning an electric drivetrain project, request New Eagle’s Feasibility Guide. Created by safety-certified engineers, its valuable insights help navigate this “phase zero” stage of development so your project gets on the best path to production. 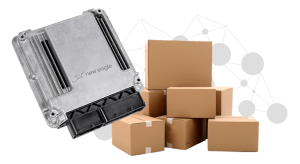 For developers navigating the early stages of machine development, selecting a production ECU supplier is one of the most important decisions to make in the process. Unfortunately, it’s not an easy one. Find out what you should ask and look for before selecting a supplier for your project. Our popular Raptor Training program returns to New Eagle’s Headquarters in Ann Arbor, Michigan on May 7-9, 2019. In this three day class, attendees will build on the fundamentals of embedded model-based design using the Raptor platform’s Raptor-Dev and Raptor-Cal, while applying controls, embedded systems and MATLAB Simulink/Stateflow knowledge. Space is limited, so register before it runs out! 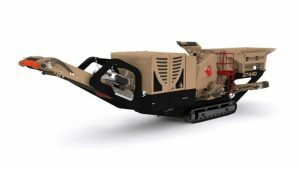 Our application engineering team leveraged Raptor™ to electrify Kolberg-Pioneer’s industrial rock crusher, creating a solution Kolberg-Pioneer hopes to scale to a new generation of electric-power machines. Read how in this case study. Be among the first to know about new product additions, upcoming events, and exclusive insights by subscribing to our eNews.